Critically Acclaimed: William Bibbiani Asks, "Did Solo: A Star Wars Story Make the Millennium Falcon Horrifying?" William Bibbiani Asks, "Did Solo: A Star Wars Story Make the Millennium Falcon Horrifying?" In William Bibbiani's review of "Solo: A Star Wars Story", he critiqued the film's tendency to explain things that the audience already knew, to the point of almost comical redundancy. But there were some surprises as well! 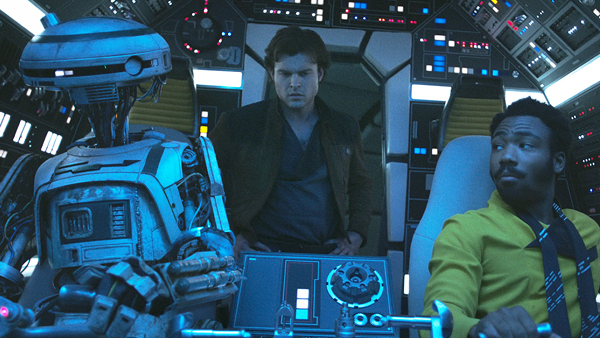 The problem is, one of the biggest surprises in "Solo: A Star Wars Story" has consequences that might, depending on your point of view, make pre-existing elements of the "Star Wars" franchise seem creepy. William Bibbiani discusses the most disturbing revelation, in SPOILER detail, in his latest article at IGN. Read: "Did Solo: A Star Wars Story Make the Millennium Falcon Horrifying?"